STAB STAB STAB is a physics-based couch-multiplayer arena stabbing game developed by Sbug Games, for up to 8 players. Stab your friends until they pop in versus mode, or team up to defend yourselves against an unending horde of cronenbirds. Play as explosive fleshbirds with razor sharp beaks. Battle it out against your friends in versus mode. 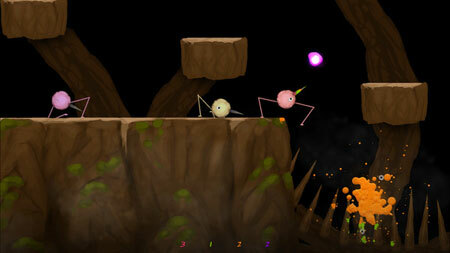 Team up in survival mode against the mindless hordes of cronenbirds. There are also wings, spider legs, tumors, and many other helpful mutations to pick up. If you get stuck in the game, check out the video walkthrough and gameplay for the game. This entry was posted in PC Games, Walkthrough and tagged STAB STAB STAB Cheats, STAB STAB STAB Gameplay, STAB STAB STAB Guide, STAB STAB STAB Strategy, STAB STAB STAB Walkthrough by Marvin. Bookmark the permalink.